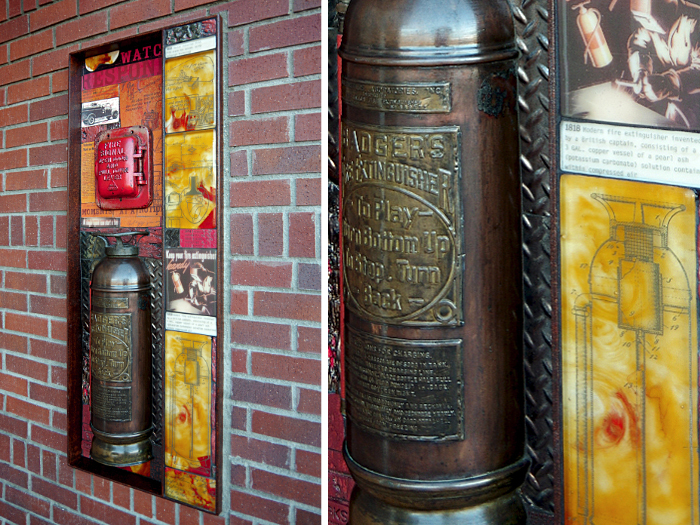 The FireFighter Heritage Installation boxes are permanently mounted to the front fire station walls. They are inspired by the numerous boxes placed, in the early 1900’s, at strategic points within wilderness areas. These historic boxes contained fire-fighting tools, some cooking utensils, provisions, even horse feed. 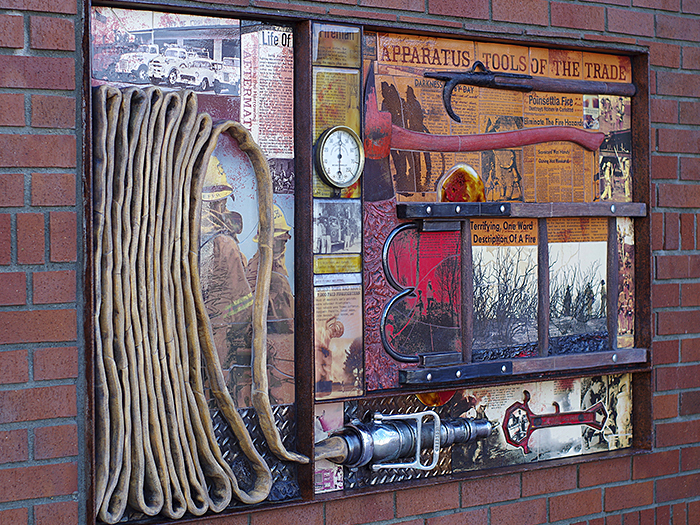 The current fire station boxes contain photos, articles, important fire fighting facts, tools and equipment from the last 60 years of Carlsbad firefighting history. 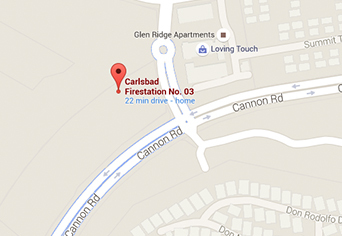 The firemen were consulted throughout the project to collect information and confirm facts. 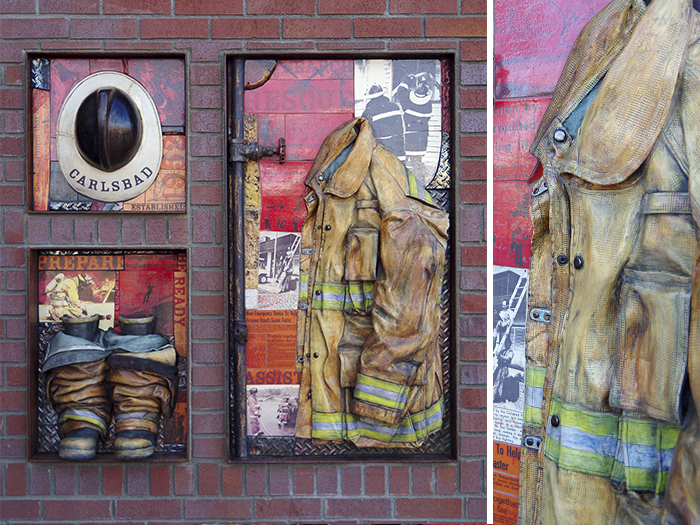 The jacket, hat, boots, hose and tools are hand-sculpted in high-relief ceramic. The images and text are screened onto tile and fused into glass. All ceramic and glass pieces are made using "controlled kiln fire" with temperatures of 1200°-2300° F. Incorporated seamlessly into the art are historical firefighting artifacts, such as the fire extinguisher, hose nozzle, and fire alarm. It is difficult to tell what is actual and sculpted. In addition, the concrete surrounding the artwork is seeded with small glass fragments that represent the embers left behind after a fire. 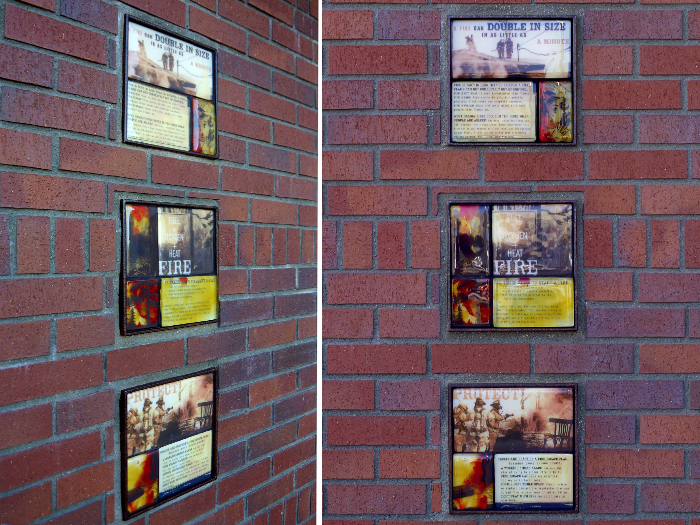 Larger glass and ceramic pieces with text and images fired in them, are sprinkled throughout, to represent the small personal artifacts that are left behind once the fire is extinguished. Because the art is located outside, it is accessible to everyone. 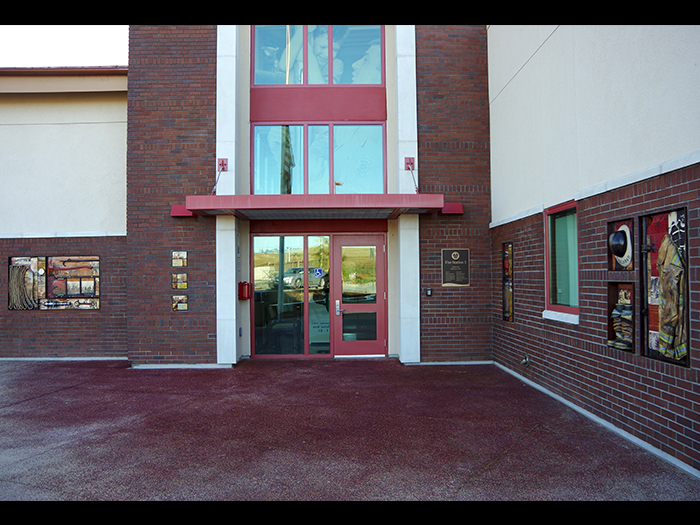 The public is invited to visit the fire station, to walk on the glass seeded entry, and experience these heritage boxes firsthand to learn more about the history of the Carlsbad Fire Department.